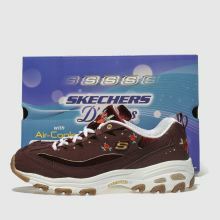 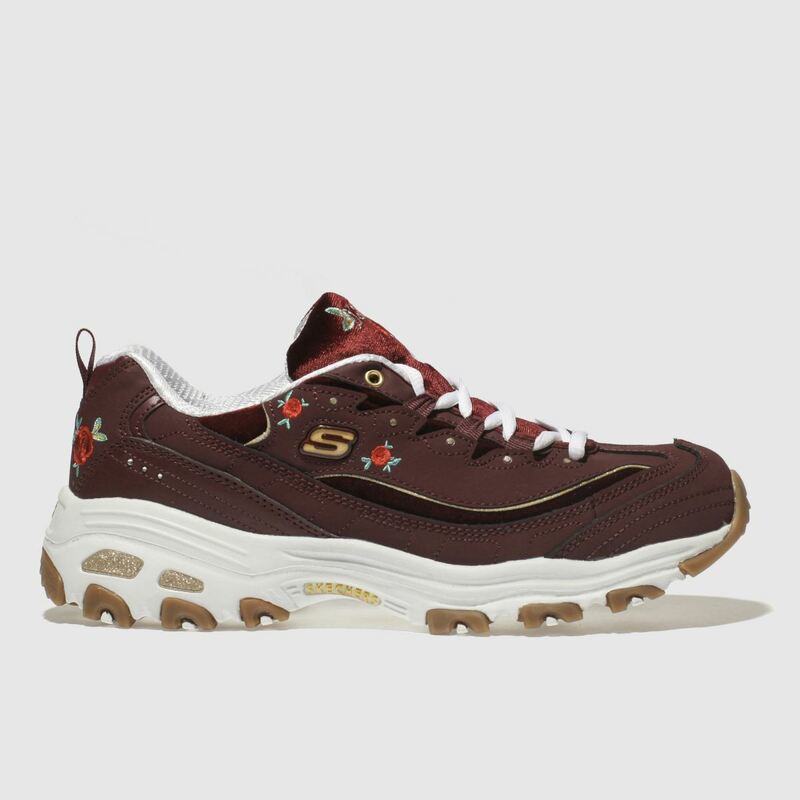 Let the sweet style of the latest Skechers D'Lites profile give your style a retro shake-up. 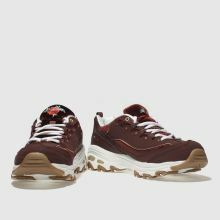 The burgundy man-made upper is adorned with red roses and branding, making for a super throwback feel. 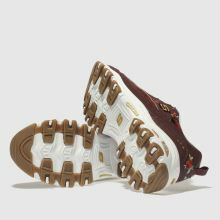 A substantial sole gives the trainer a true 90s feel.